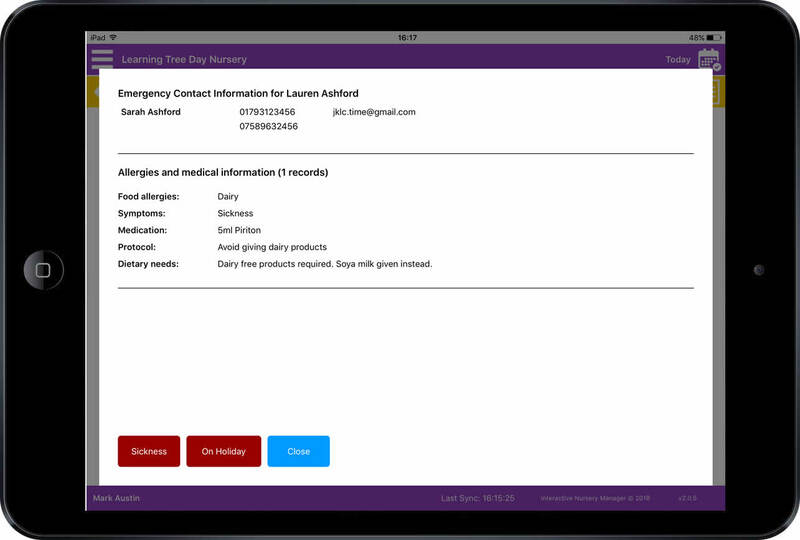 The Interactive Nursery Manager provides childminders, after school clubs, nurseries and larger nursery groups with everything they require to accurately record, monitor and track every aspect of a child’s wellbeing and their individual care needs. The INM Child Well Being app has been designed to quickly and effectively capture all aspects of a child’s care and daily routine. No more paper copies being lost before filing! A complete record of any aspect of a child’s care record in one place and accessed by date range, allowing easy tracking over periods of time. 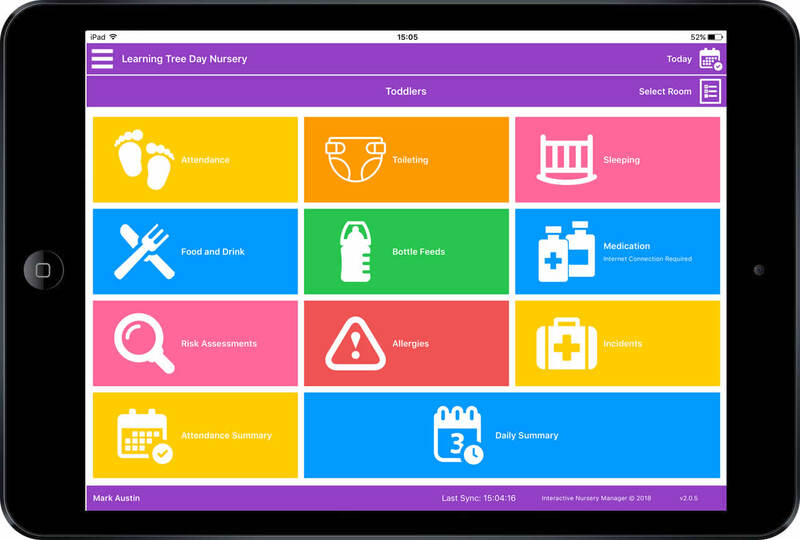 Easily create a daily summary including sleep logs, toileting, food and drink consumption and much more for a child which can be shared with parents through the INM Parent Portal. Children’s care plans, allergies and protocols can be recorded, tracked and updated with ease. 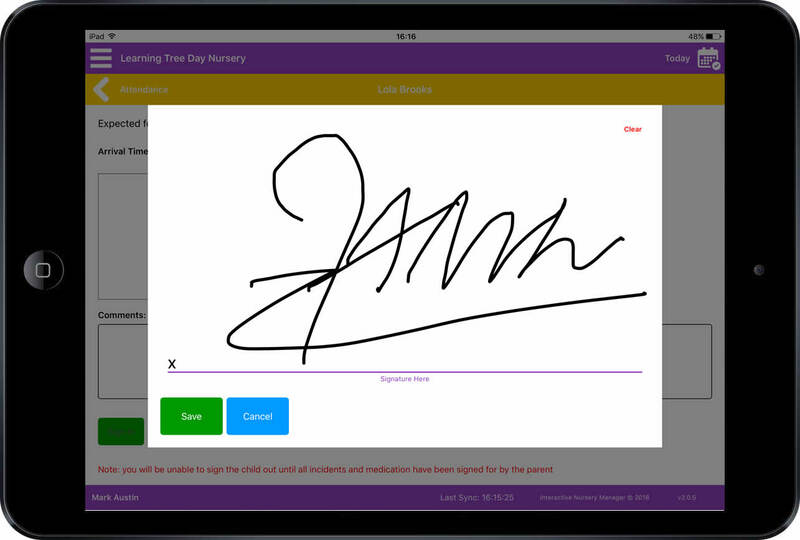 The app also facilitates electronic signatures on tablets which enables parents to sign their child in/out of nursery and sign accident forms immediately. No more important missed signatures on documents during inspections! Access can be granted to individual staff based on their job role and responsibilities, ensuring you meet all data protection requirements whilst also meeting each child’s individual needs.